Handmade Detroit | Handmade Detroit — all over! Handmade Detroit — all over! We’ve got a busy couple of weekends coming up. The five of us are bringing Handmade Detroit to events all over Michigan – and beyond. 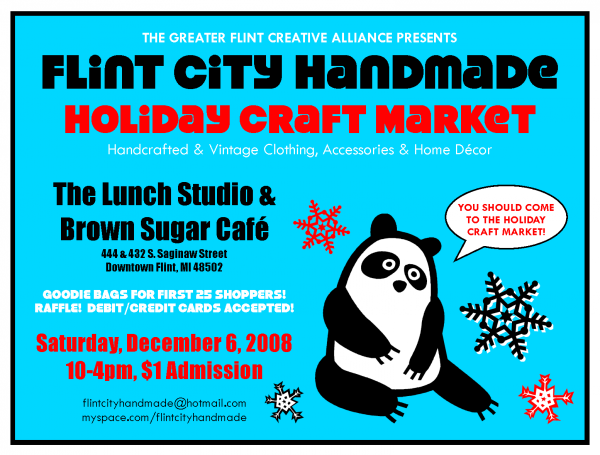 This Saturday you’ll find Amy and Beth at the Flint City Handmade Market. Carey and Lish will be heading to Yspi to participate in the Shadow Art Fair also on Saturday. You’ll be able to pick up the new Handmade Detroit t-shirts and merch at both of these shows. 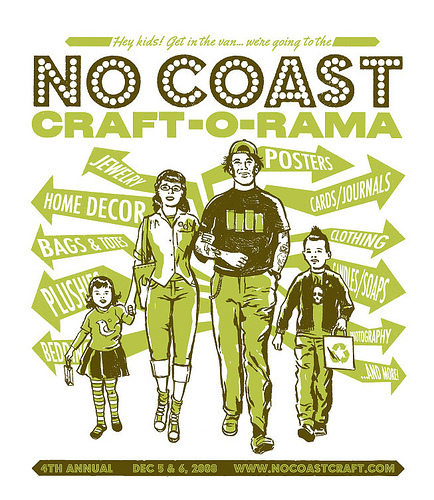 And I’ll be heading to Minneapolis to participate in No Coast Craft-o-rama on Friday and Saturday and the Handmaidens CRAFTSmas on Sunday. Elsewhere, Saturday is also Noel Night in Midtown Detroit (head over to the DAM for many Handmade Detroit artists) and in Grand Rapids, the Holiday Artists’ Market, now in it’s 20th year, opens at the UICA. On Dec. 12, Beth is hosting Baar Bazaar in the Majestic Theatre. Carey, Lish and Beth will all be participating with this giant list of vendors that will be selling vintage, handmade and tons of cool stuff like records and comic books. 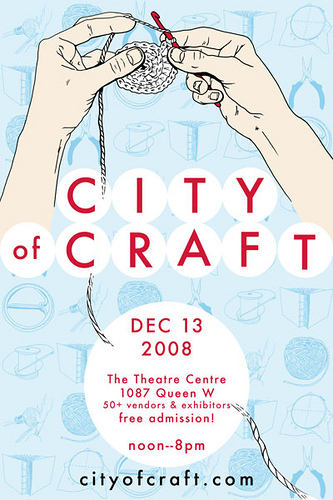 Finally, if you’re in Toronto, make sure to stop by the Phantom Limb booth at City of Craft on the 13th and say hello — I will be handing out really awesome goodie bags, full of info and products from Detroit-area crafters and bands (like shirts, CDs, cards and soaps), to the first 50 or so people who make a purchase from me. You can find more info on all the Michigan shows in our calendar sidebar (on the left). More info on the Minneapolis and Toronto shows is on my blog. Are you participating in a show in the next two weekends? Let us know in the comments. GREAT job, Bethany! Baar Bazaar ’08 was the craftiest – artful BB yet! Check out this link to some super cool shots from the night!